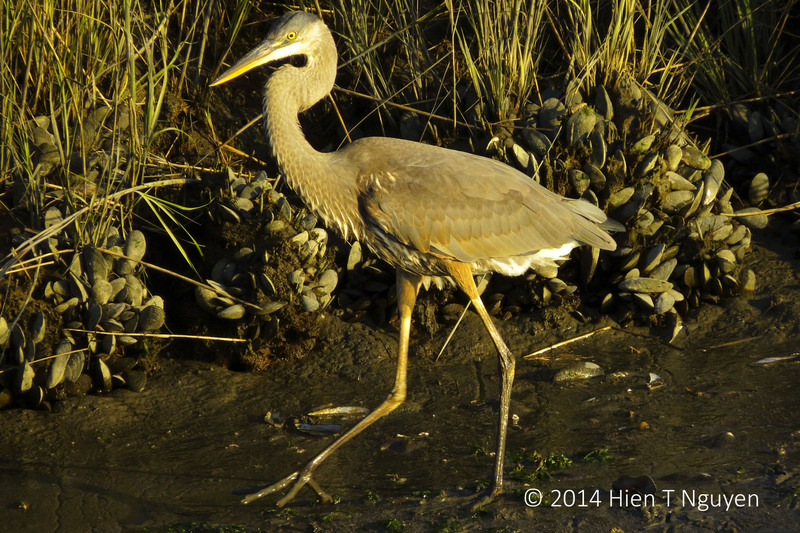 Last weekend, at the Edwin B Forsythe Wildlife Refuge, when I first saw this juvenile blue heron, it had just caught a fish and was going back to the bank of the marshes to eat it. 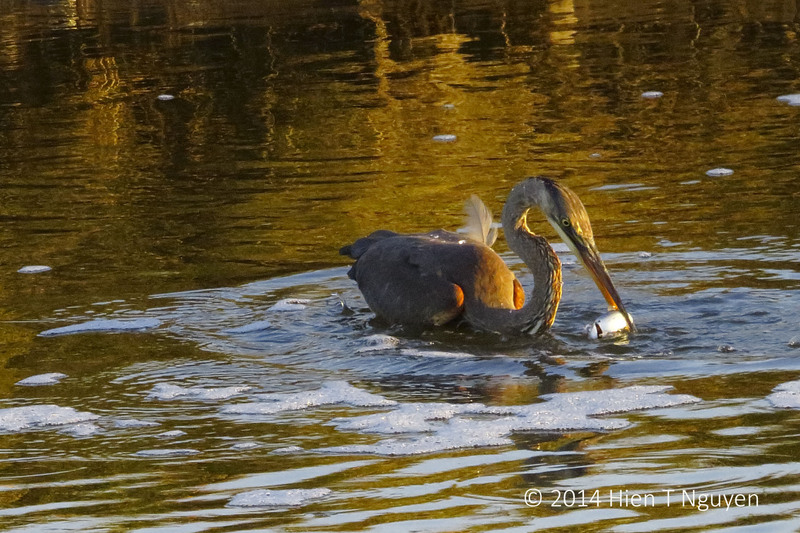 By the time it turned around, the fish was gone, swallowed in its entirety. 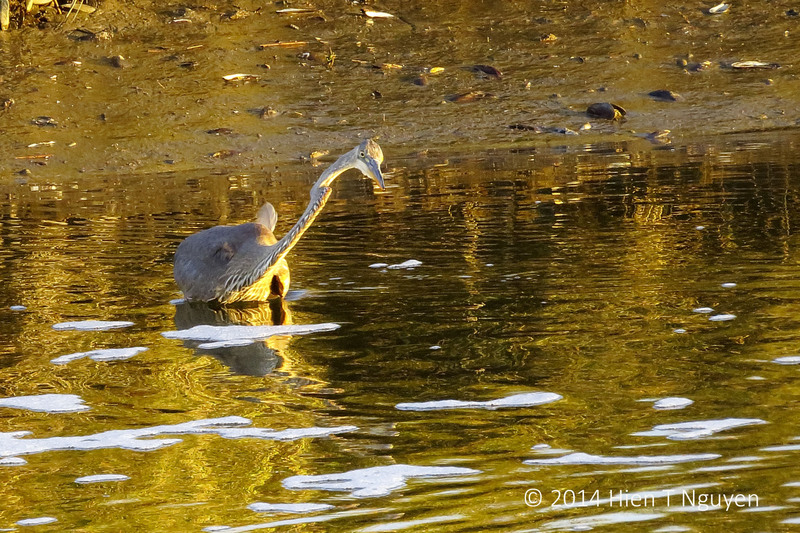 The heron preened itself smugly, then bent forward as if seeing some other meal swimming by. Nothing! The bird walked away to another spot, near two humans who were also fishing with their poles and lines, and a small boat. 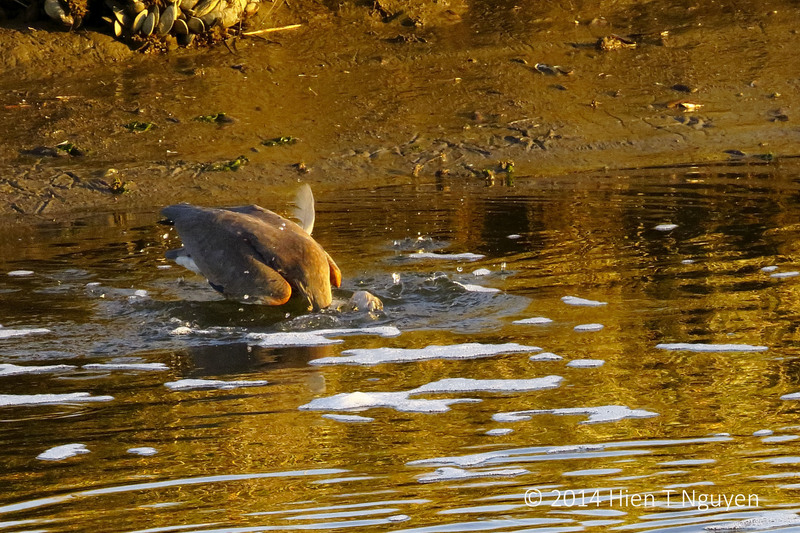 It was low tide, and water was rushing out of the marshes into the ocean. 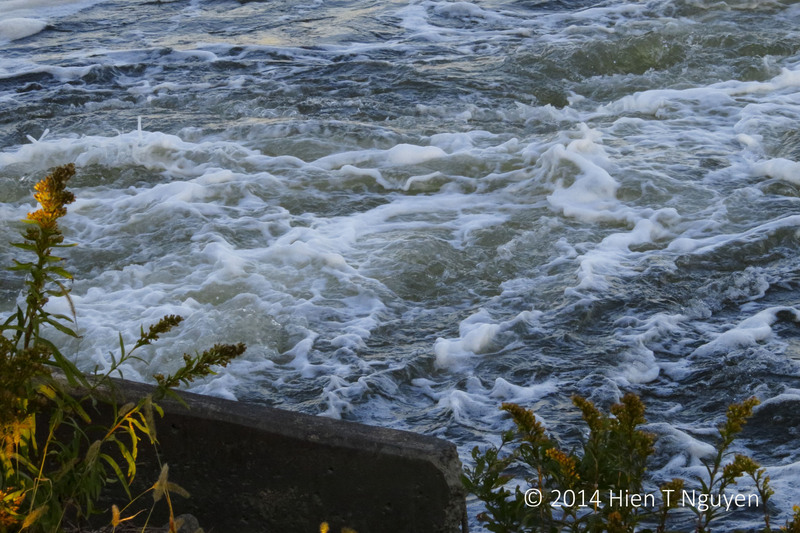 Once every few minutes, I could hear fish jumping into the air and falling back into the receding water. 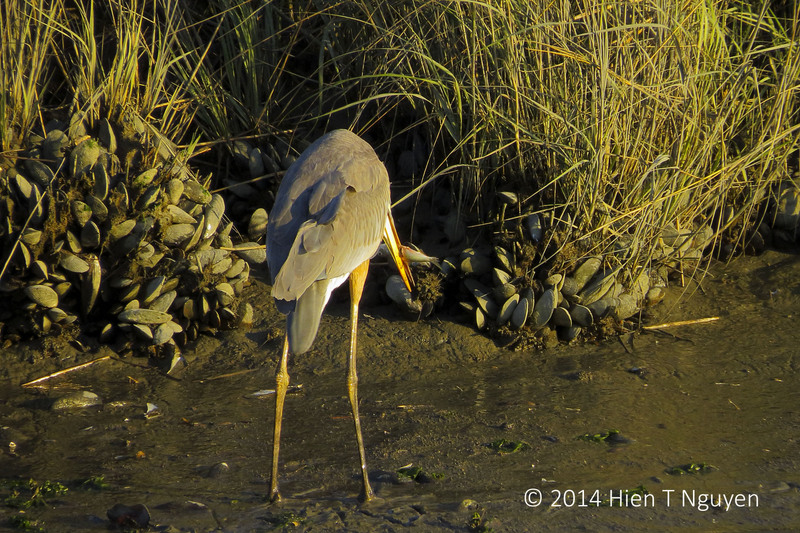 Suddenly the heron dove in head first. and came up with nothing! It did not give up though and resolutely struck a pose. Soon enough, it caught another one. 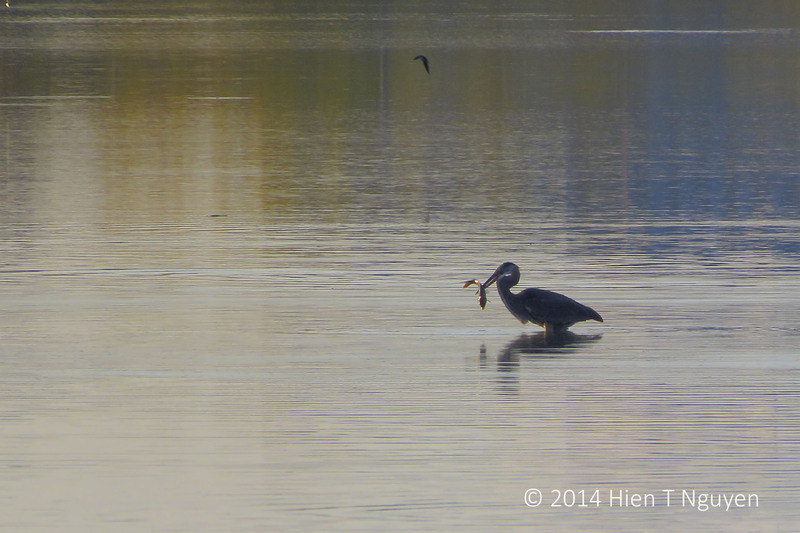 During the 15 minutes I spent observing and photographing it, this heron caught three fishes. The two humans caught zero during that same time. 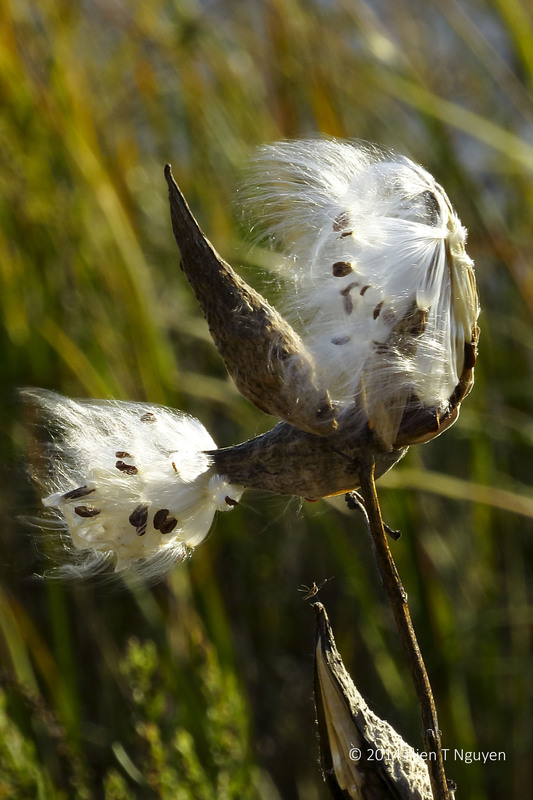 I took the following photos of dried milk thistle by the side of Wildlife Drive at the Edwin B Forsythe Wildlife Refuge. 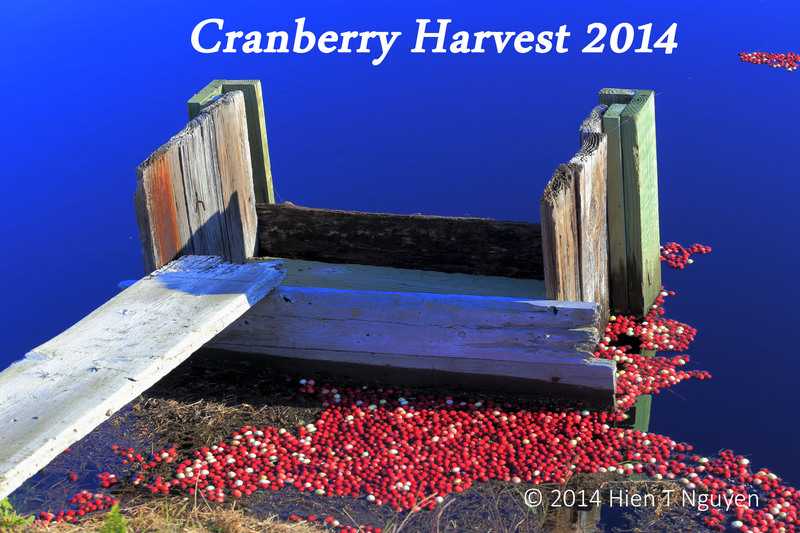 This week is probably the last week for this year’s cranberry harvest season. 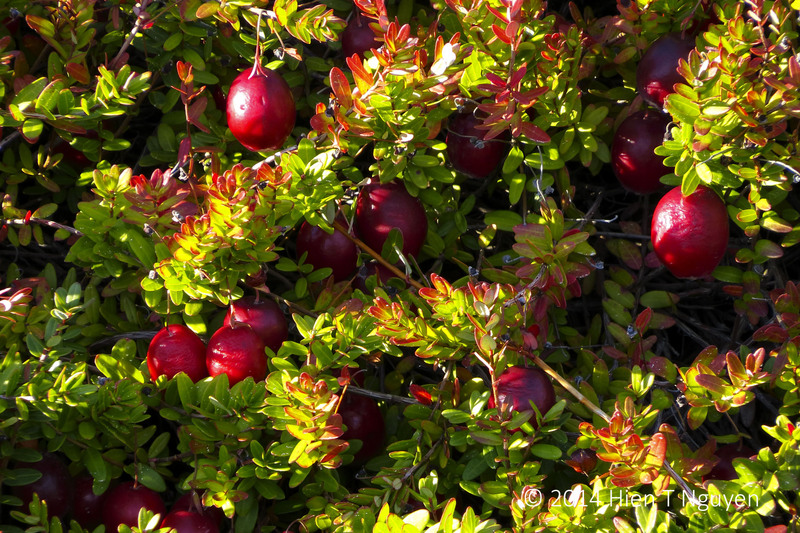 Last Saturday, as we drove by some bogs, I saw cranberries being harvested by what are called egg-beater machines, guided from behind by humans. 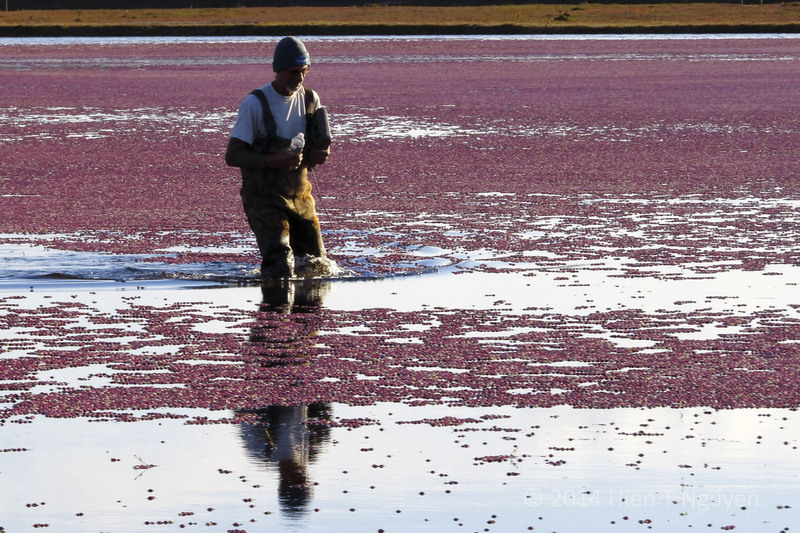 This is how it has been done ever since the wet method for harvesting cranberries began half a century ago. 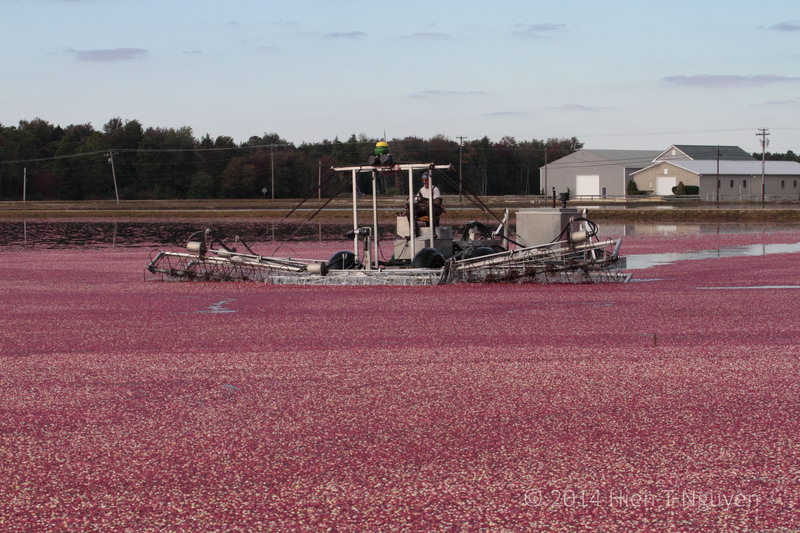 In comparison, some companies have built bigger egg-beater machines that can cover a width of as much as 30 ft. On such a machine, the operator sits on a seat and does not have to wade in the shallow water, except to entangle vines caught in the reels of the beaters. 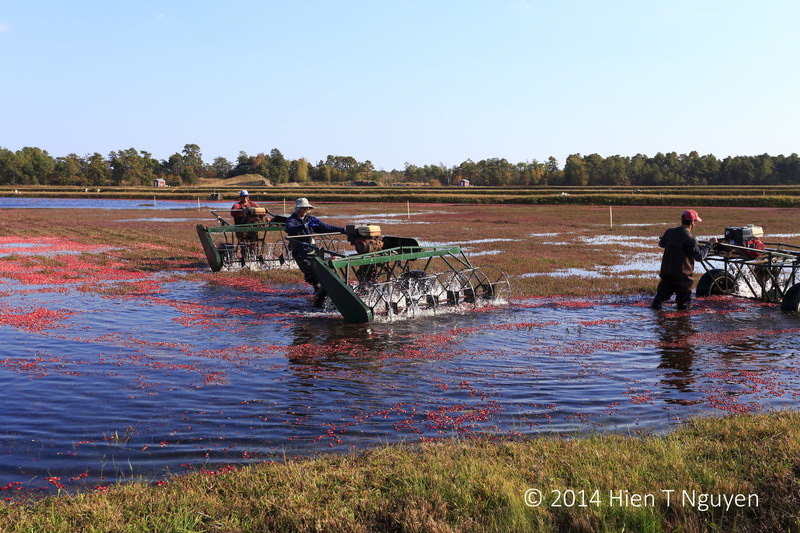 Over the past few years, these machines have also been equipped with GPS devices, which allows the operator to see on the screen the straight line paths that he needs to steer by in order to cover the entirety of a bog. 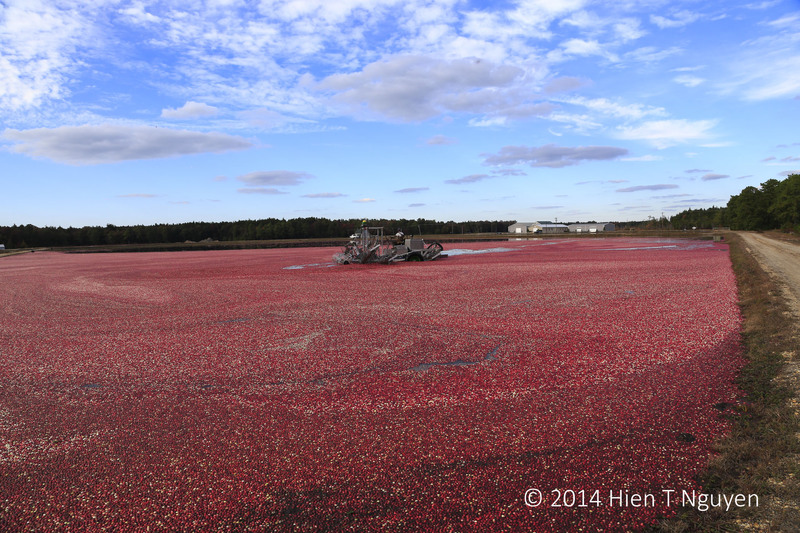 I took the following photo today, but it would have been a nice cover art for my post on Cranberry Harvest 2014 from two weeks ago. 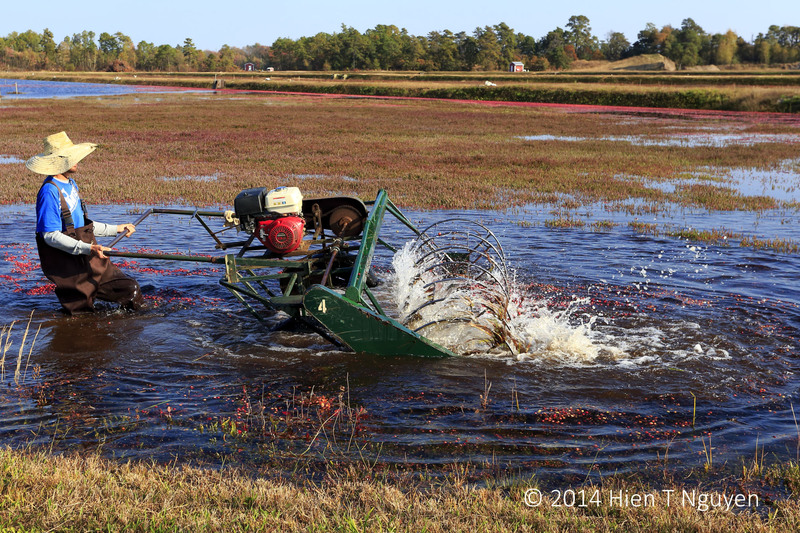 It is a sluice gate that is used to control the water level in each cranberry field. 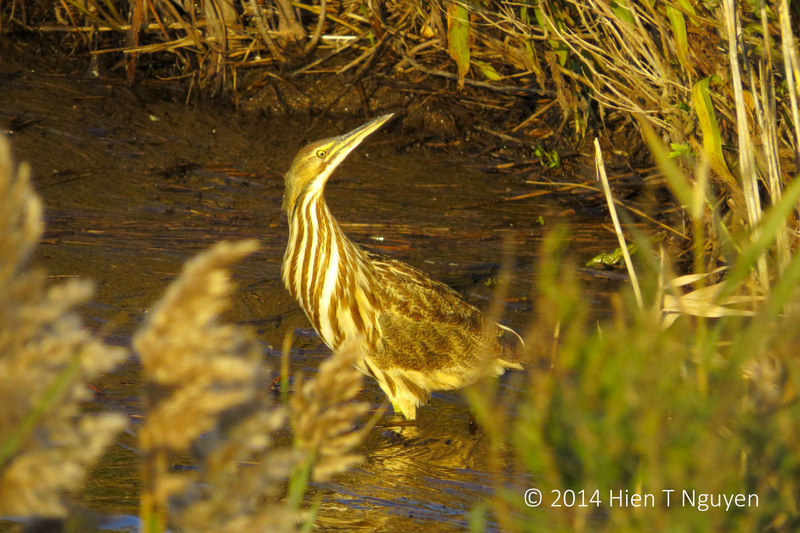 Yesterday, several excited birders at the Edwin B Forsythe Wildlife Refuge pointed out a rare bird to me. 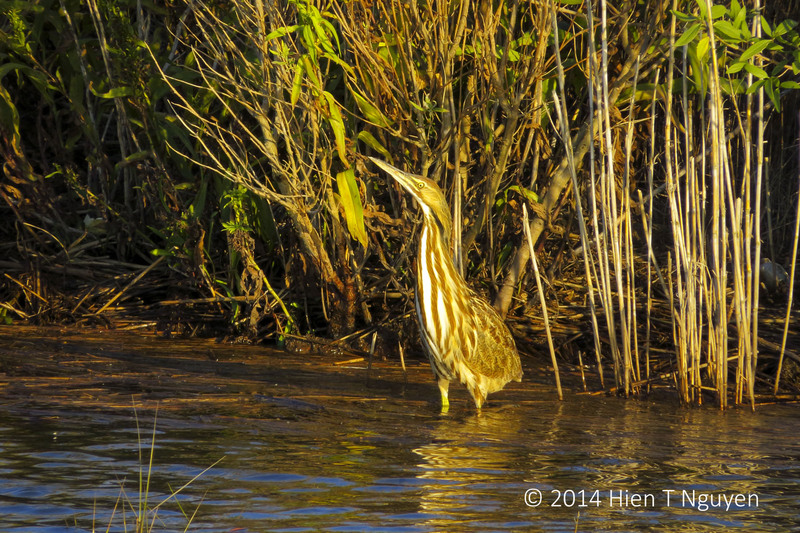 It was an American Bittern , a type of heron that is well camouflaged and difficult to see, even when you stood close to it. It was a first sighting for me, and I didn’t waste any time taking the following photos. 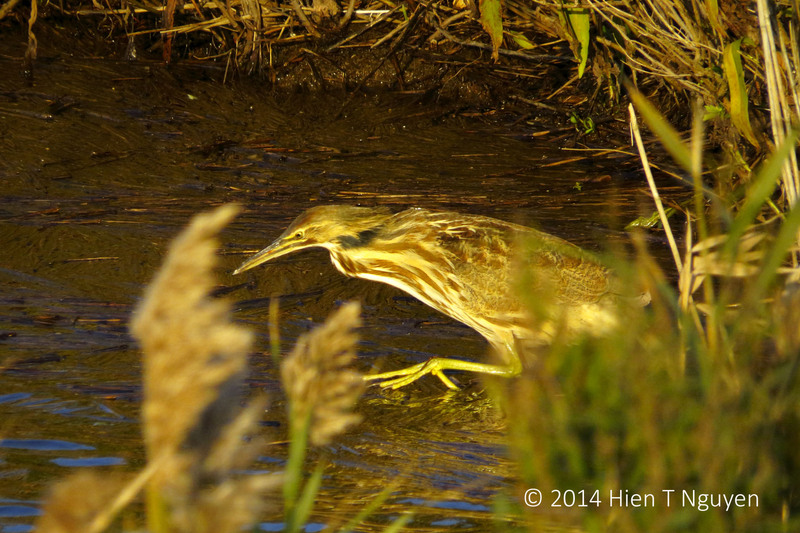 As I walked closer to the bittern, I managed to take this shot as it lunged after something. However, it didn’t catch what it wanted, and looked somewhat disconsolate, probably blaming the heavens for the missed catch. 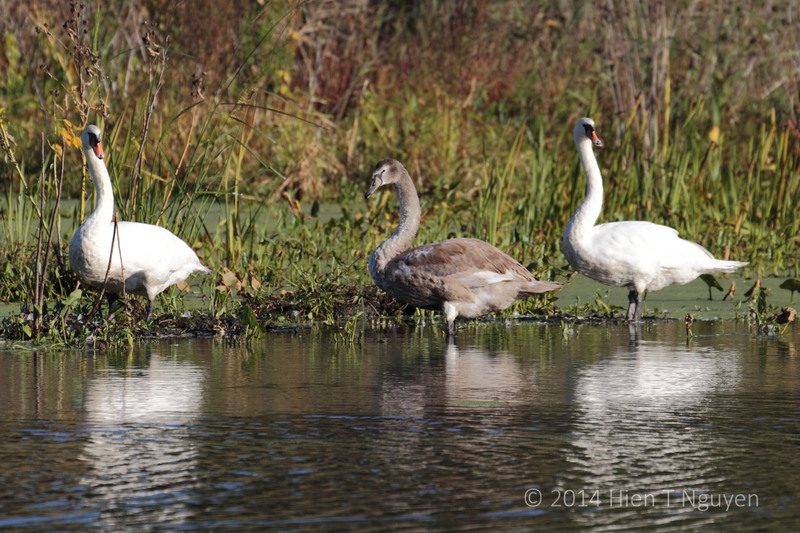 Three weeks ago, at the Abbott Marshlands, as I was taking pictures of the swans, a gray bird followed me around, emitting a strange sound, perhaps because I was invading its territory. After several attempts, I was finally able to take the following photo. 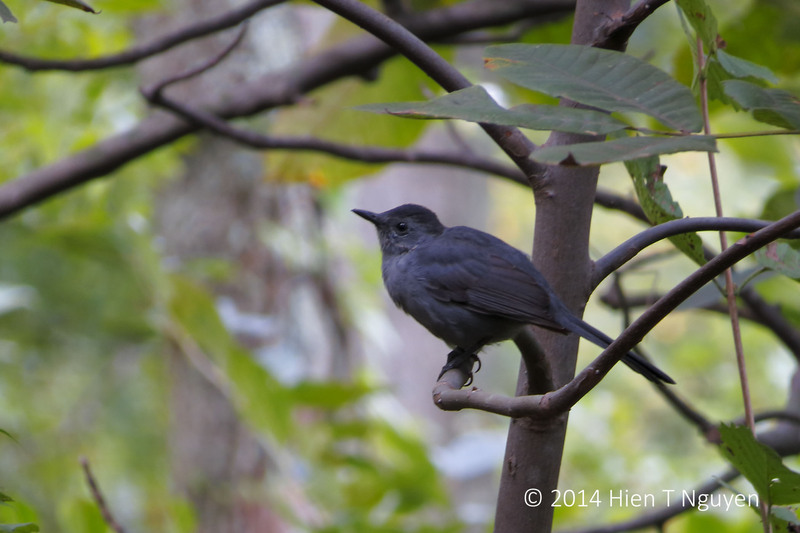 I think it was a Gray Catbird, but I am not sure. If you can identify this bird correctly, please tell me what it is, and I will gladly update this post. 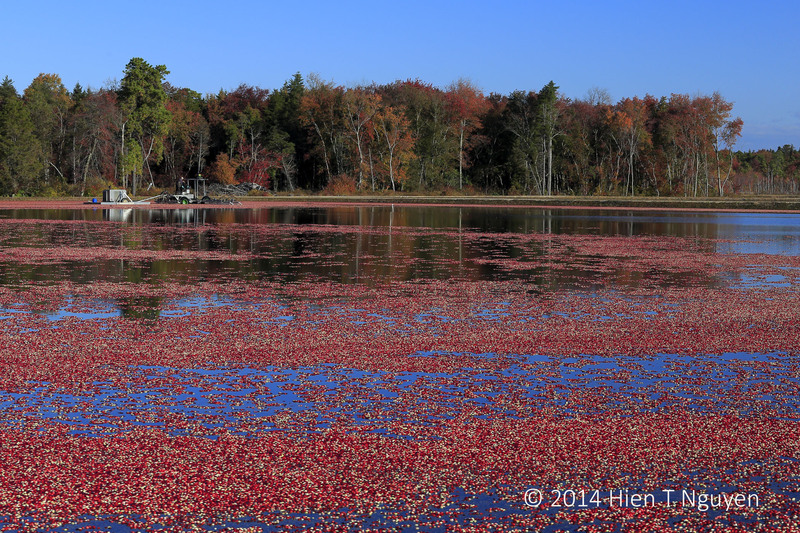 This weekend I tried to capture the many colors of fall, from tree leaves to cranberries. I was surprised at their vibrancy and thought I should submit another entry to Cee’s challenge. 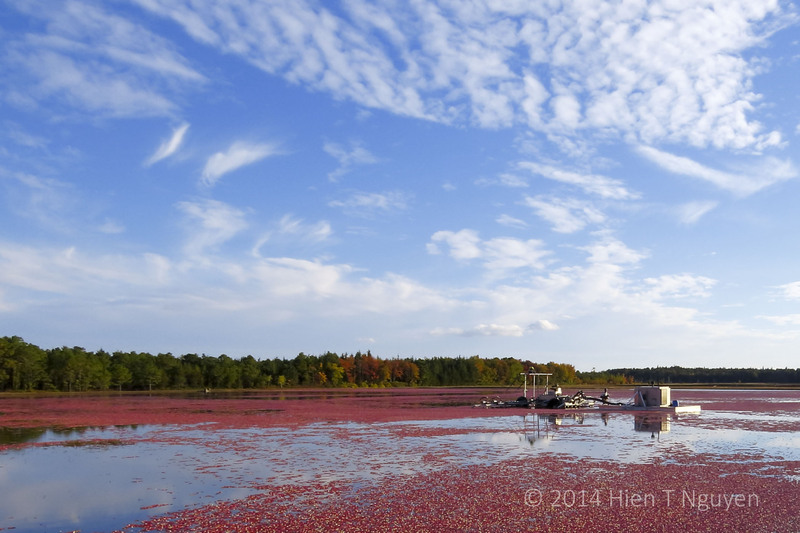 For this last photo, I went back to cranberry bogs near Chatsworth, NJ. 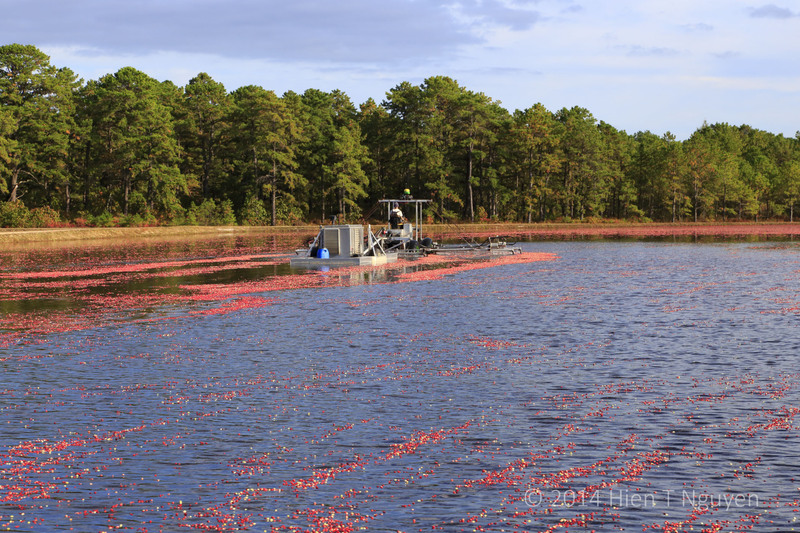 No one was working on Sunday, and the cranberries floated on the water, rocking up and down as a cool breeze blew. Egrets are so graceful in flight, but they can look awkward when they begin their ascent, just like lumbering passenger airplanes. 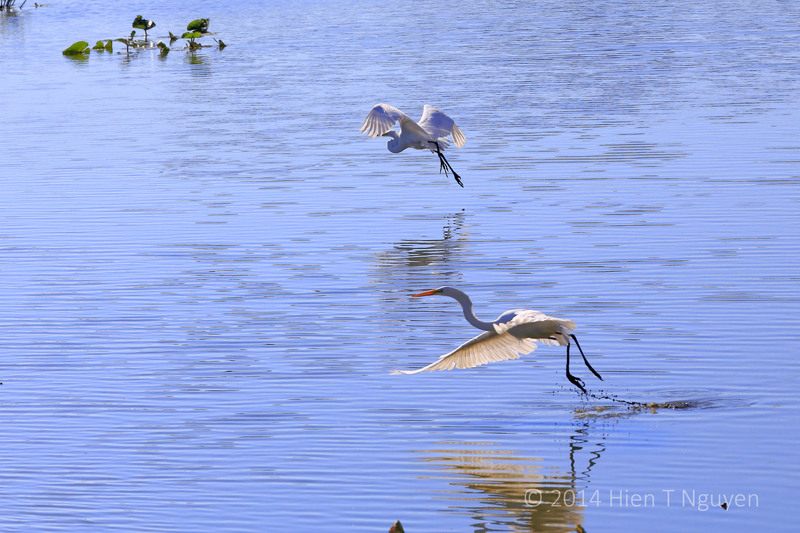 I took the following photos of egrets taking off last week at the John Heinz National Wildlife Refuge near Philadelphia Airport. 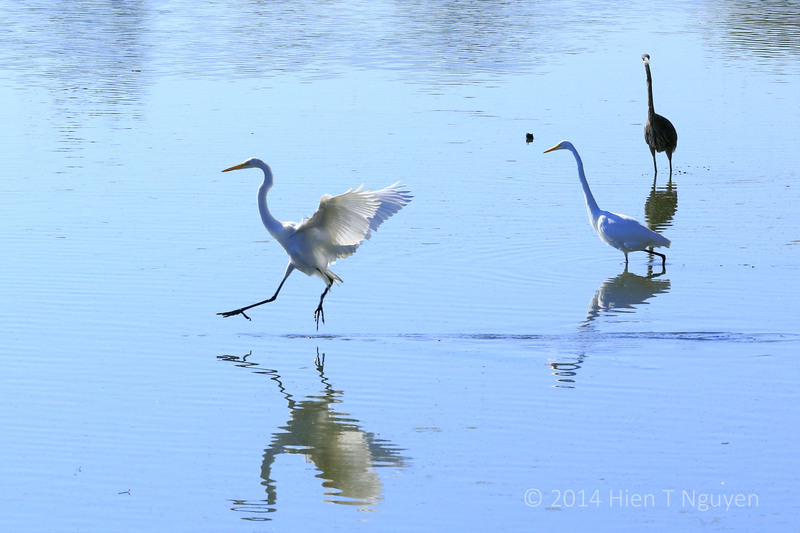 Egret taking off. Pas de trois? 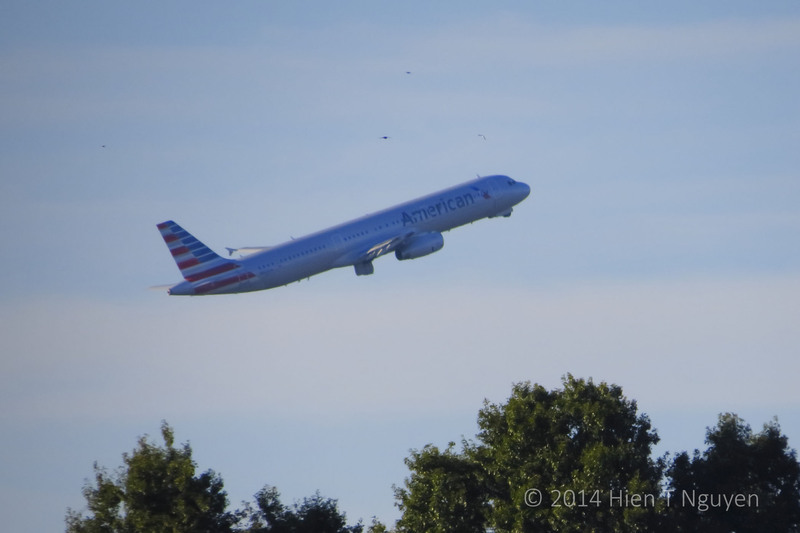 Just across the interstate, airplanes were also taking off every few minutes. 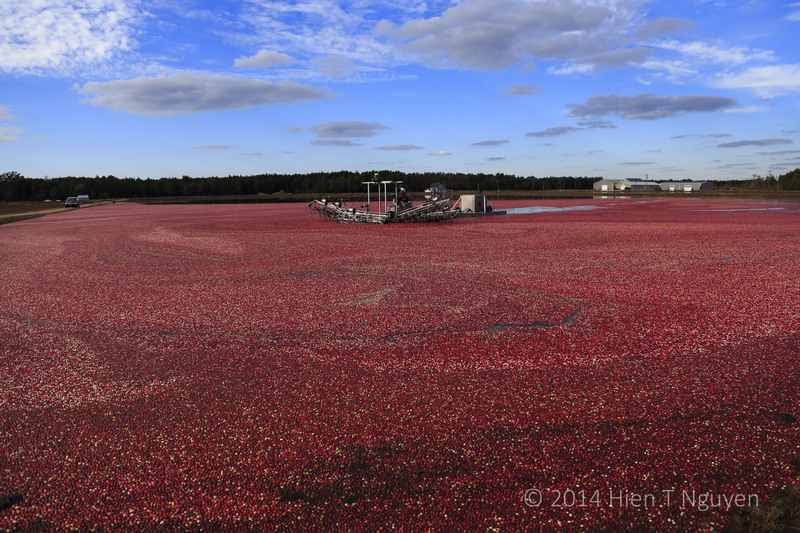 I tried to go watch this year’s cranberry harvest operations twice this weekend. Yesterday was a total flop. It rained hard, I got lost and arrived one hour late, and the harvest tour would not let anyone get off the bus for safety reason. Today was different. 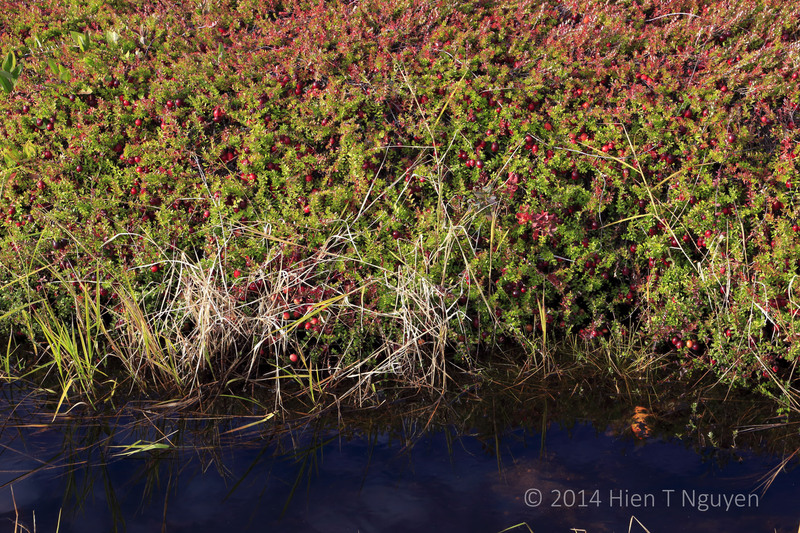 The sun was out, and I drove to the Pine Barrens to find cranberry fields. 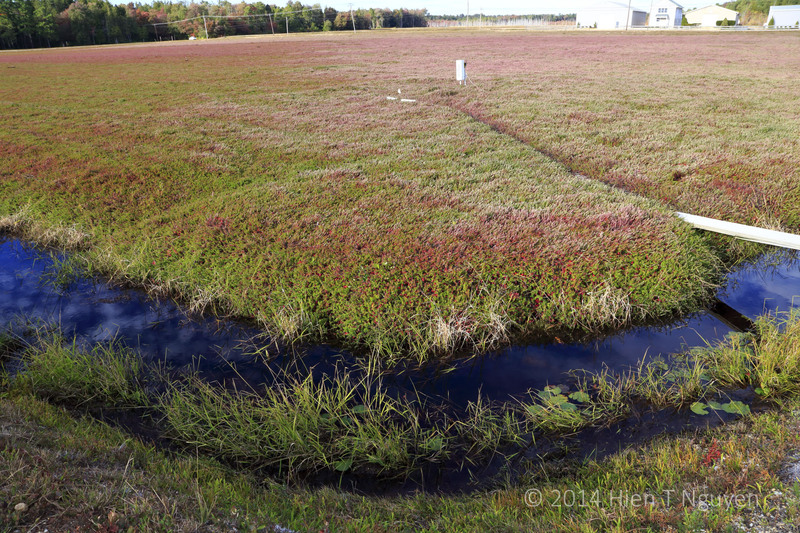 Here’s how one looked prior to being flooded with water. 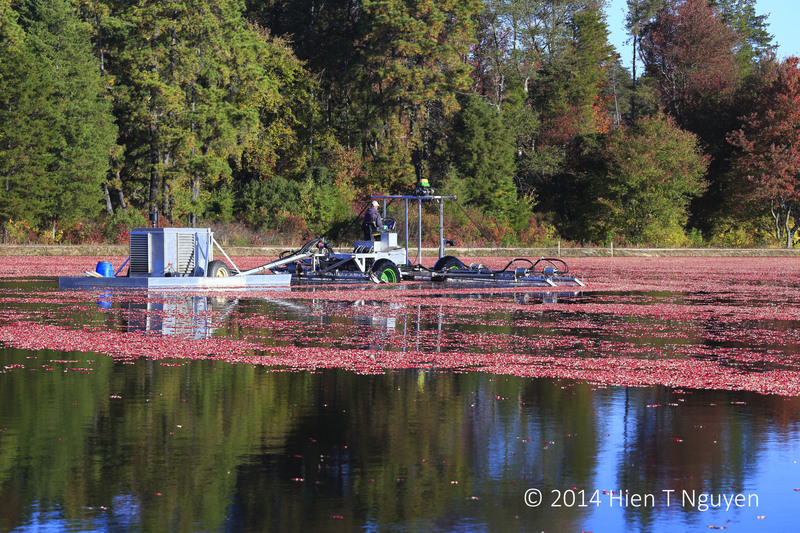 This was a flooded field as a harvesting machine plucked berries from the vines to let them float to the surface. 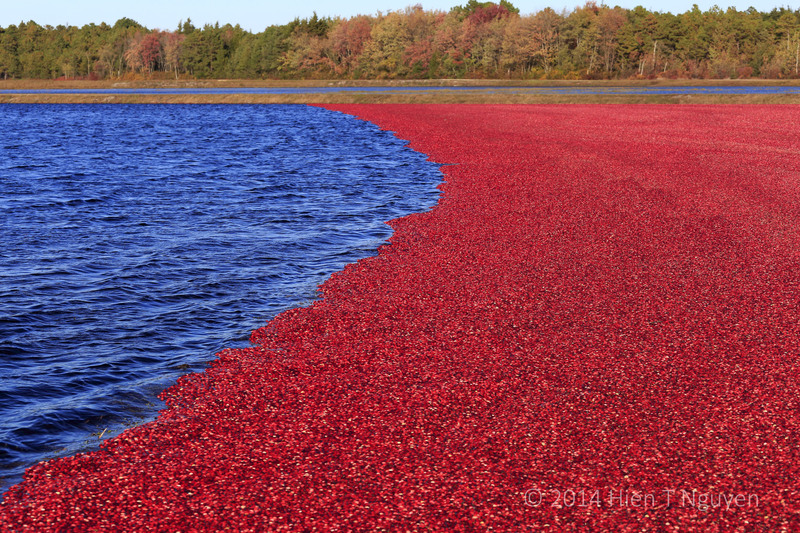 Slowly but surely cranberries covered the water surface. The machine operator, Herbert Armstrong, who is also a foreman for the Lee Brothers company, let me take pictures freely and even gave me a CD of photos of cranberry operations. As he left at the end of the day, Herb was holding a GPS which he used to keep track of where his machine went in each field, so as not to miss any area. 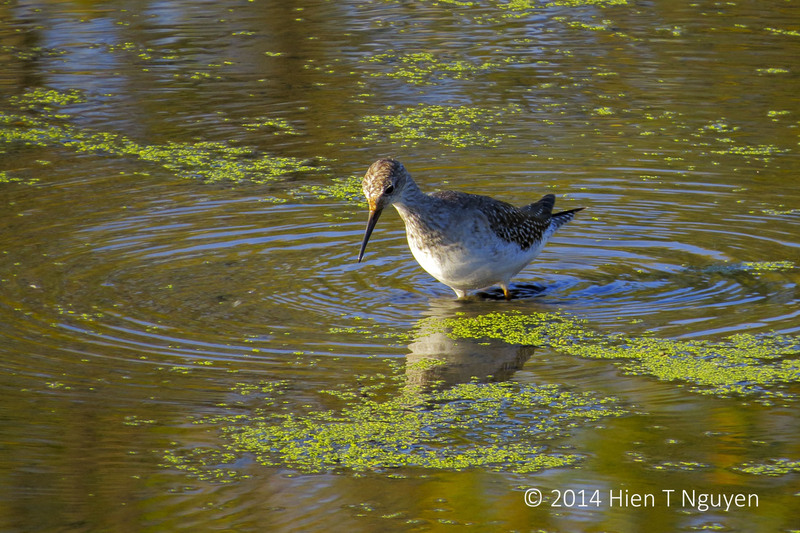 There were many Lesser Yellowlegs at the John Heinz Wildlife Refuge. 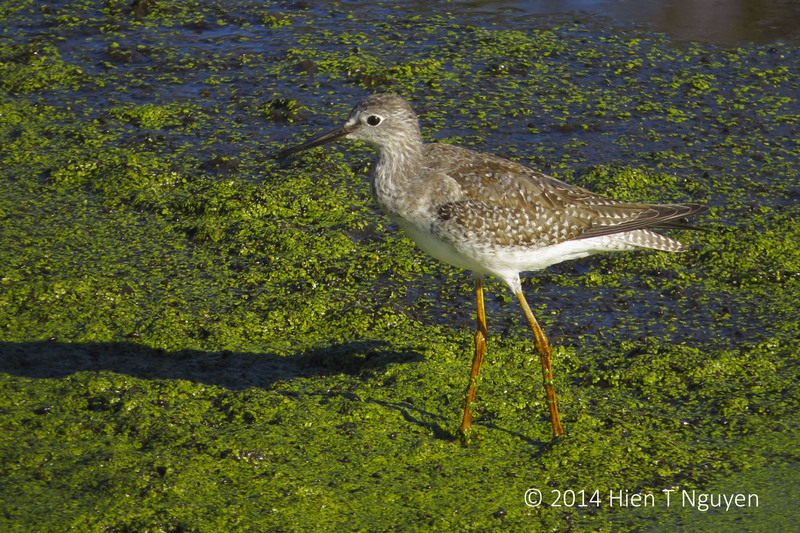 This is a bird with long yellow legs, and it is named Lesser Yellowlegs because it is smaller than the Greater Yellowlegs. 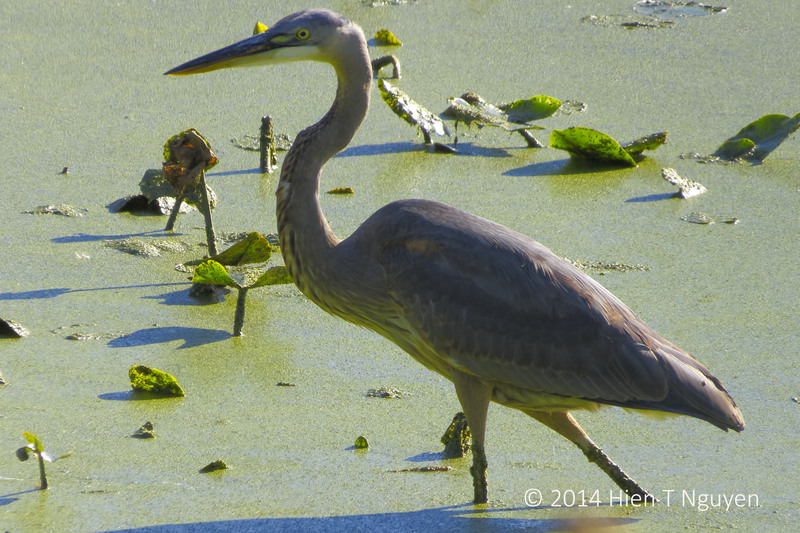 These birds were not shy of humans and continued their foraging for food even when I came close to them. You may wonder how I know the names of these birds. I don’t, and I am not a “birder”. 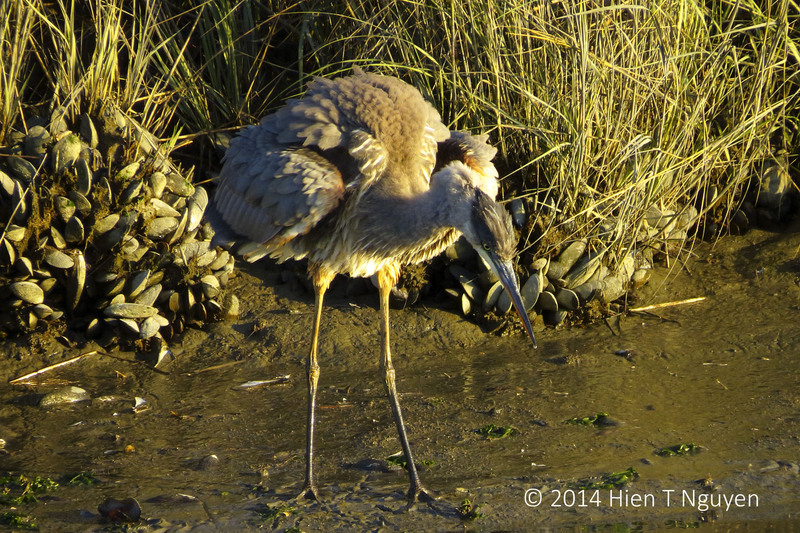 However, there are usually birders around at places like the refuge. They are very kind and helpful, and never hesitate to tell me the names of the birds and answer my naive questions. At times, they even lend me their binoculars or spotting scopes as they point out the locations of some distant birds. Birders are great people! 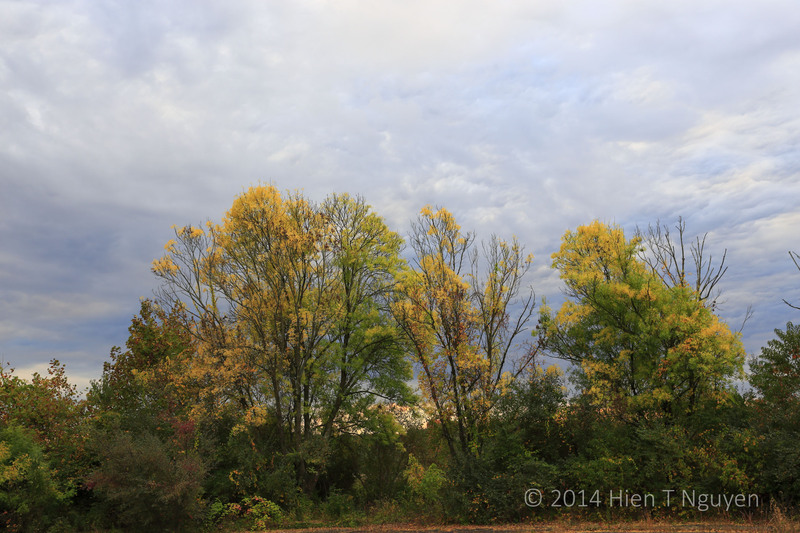 This past Wednesday, I went to the John Heinz National Wildlife Refuge at Tinicum, located opposite Philadelphia International Airport, on the other side of Interstate 95. This is a relatively new and small but very friendly refuge, teeming with many birds and animals, as well as with humans who live nearby and come to jog or just to stroll along the well-kept trails. 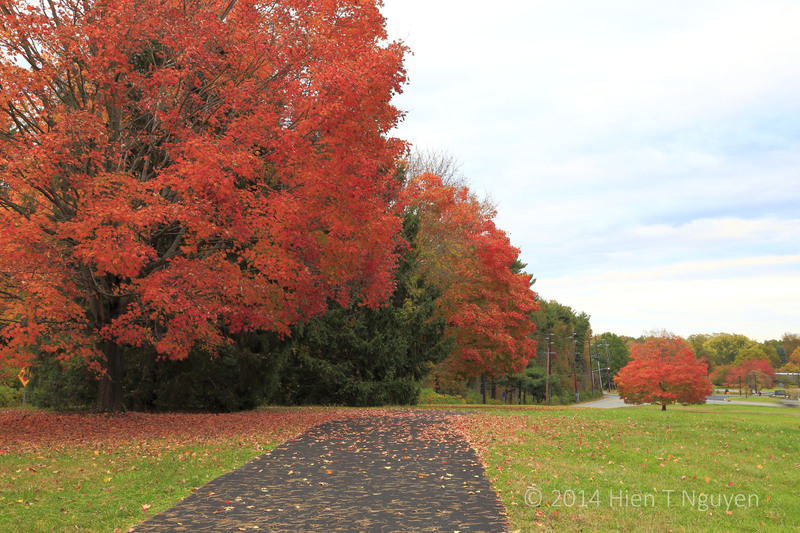 There are not many wildflowers left at this time of the year. 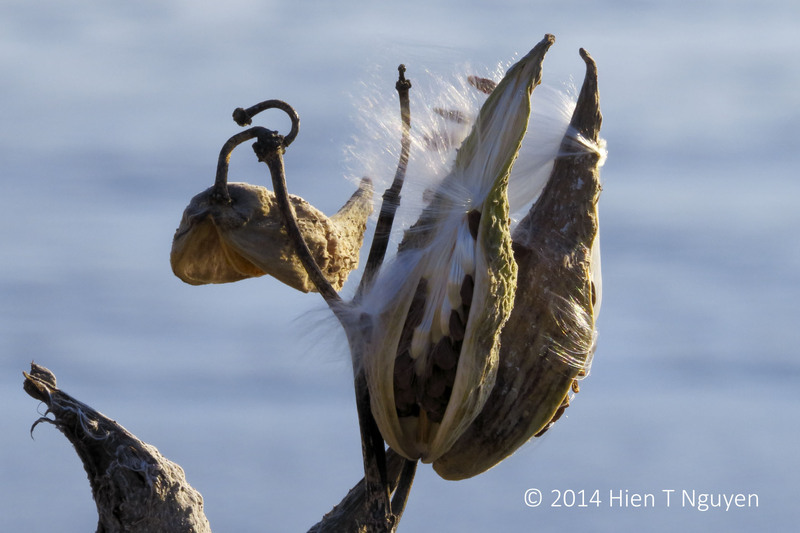 Gone are the wild sweet pea and cardinal flowers, leaving not even a trace of their former selves. 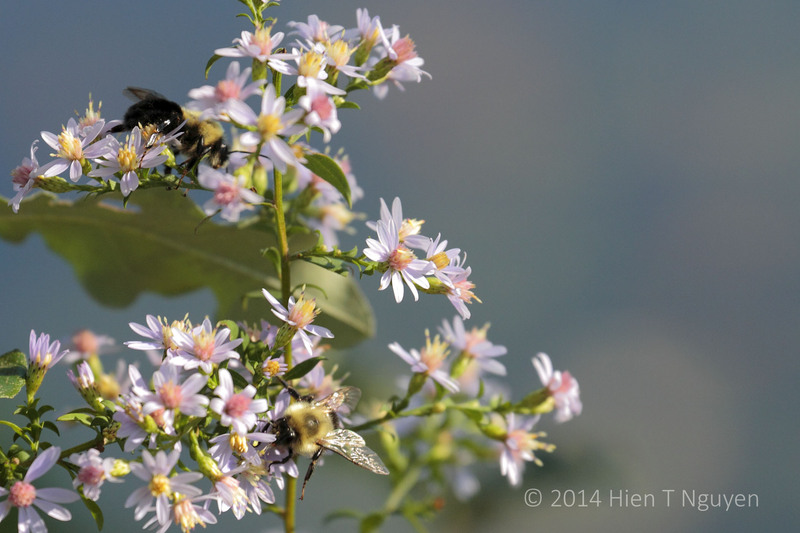 This morning I searched hard for other flowers and happened on these salt marsh asters which looked rather pedestrian until I came for a closer look and saw bees busy at work on them. 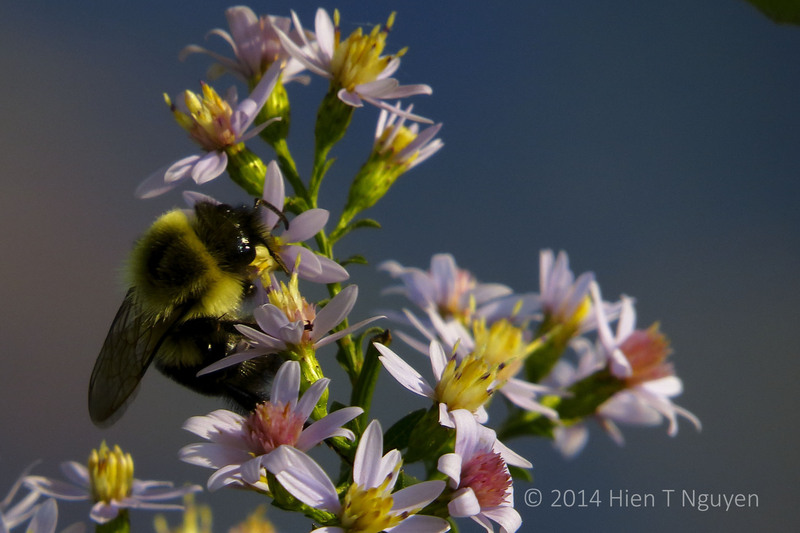 These flowers are quite small, as you can tell from their size in comparison to the bees. 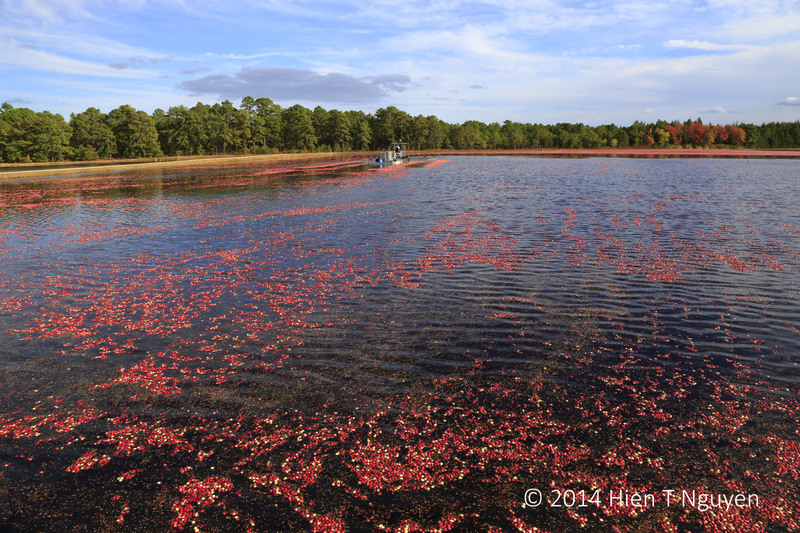 The blue background you see in the above photo is Spring Lake at the Abbott Marshlands. 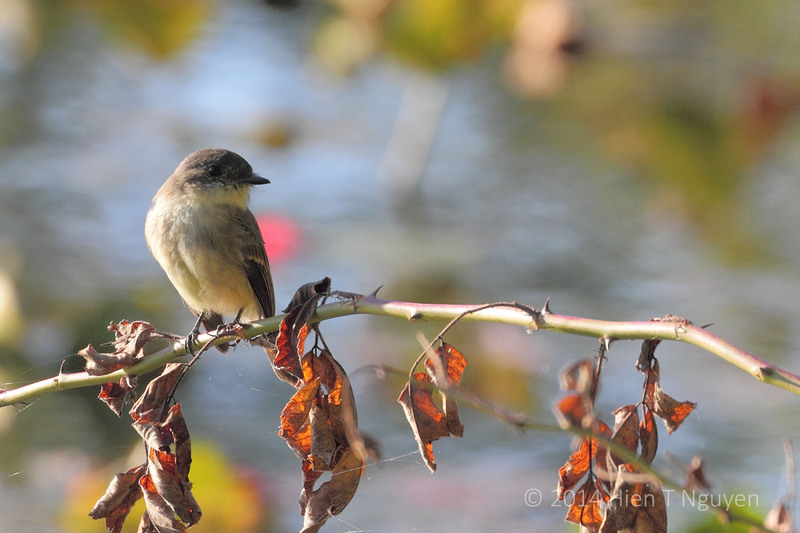 The following shot is of an Eastern Phoebe, I think. It was flying back and forth in front of me as I hiked around the lake. At one point, it stopped on a tree branch and gave me enough time to get this shot. 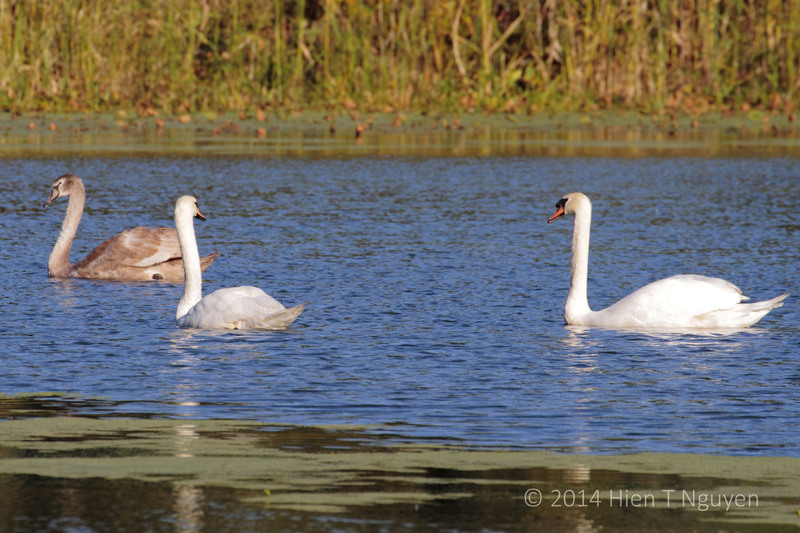 In a previous post, I wrote that a pair of mute swans at the Abbott Marshlands had a cygnet that I could not find. Today I found it. 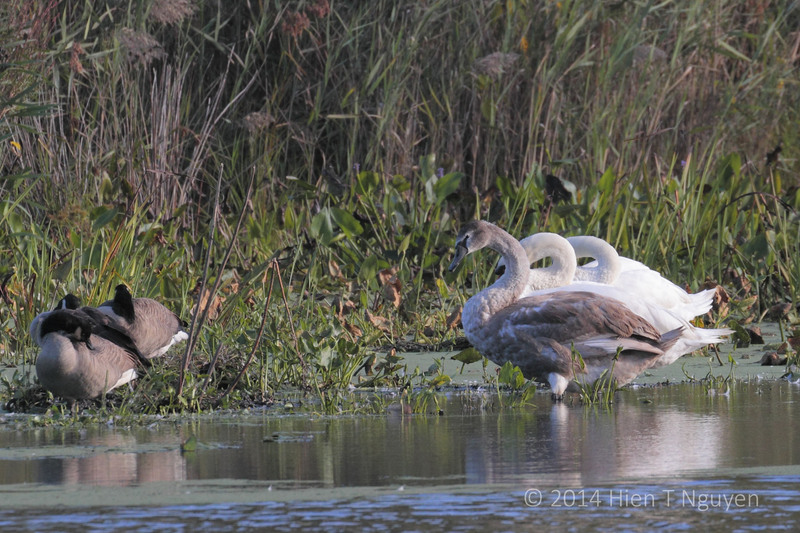 The cygnet is as large as its parents, although its feathers are grayish and not yet white. Its bill is still pale, and it does not have a bill knob yet. However, it is just as graceful. Late, but nevertheless this is my entry for Cee’s challenge. 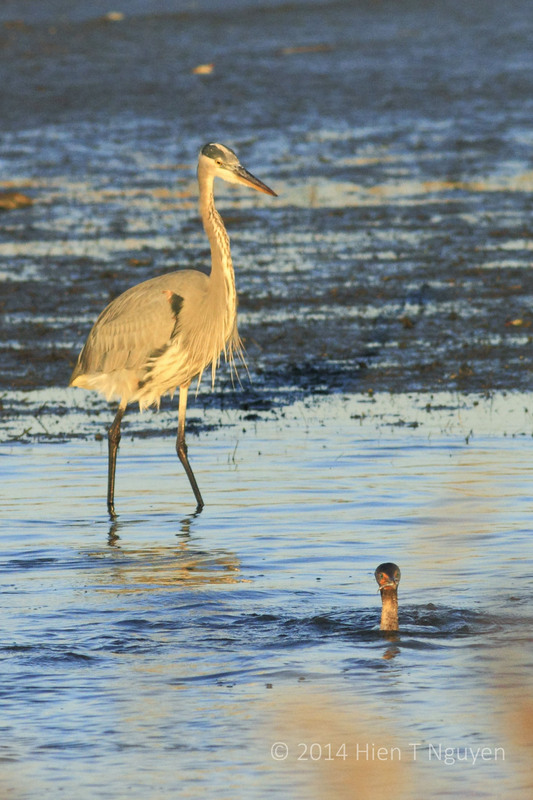 Blue Heron: what’s up cormorant?